You may have seen that Search Engine Land recently published an article called ‘How to get Featured Snippets for Your Site’. This article delves into the way Google displays answers to numerous search queries directly in the search results, and how to use this to get featured snippets for your own site. We decided as a little experiment, we would replicate it to show you how to get Google featured snippets in search results from your website. Now it started a little like this…. yesterday I decided to start going back to the gym proceeding a 10 month hiatus of eating and binge watching Netflix. When I previously attended the gym I had a weights training and HIIT program. I decided that I would use this same program, but reduce the weight so I wouldn’t be in too much pain after my workout. Come next morning I was in horrible pain awaiting the sweet release of death. What was this evil? The search results provided me with a ‘People also ask’ widget, which is populated by Google’s autocomplete suggestion feature. As you may know Google autocomplete works by providing suggestions based on other popular searches by people around you. 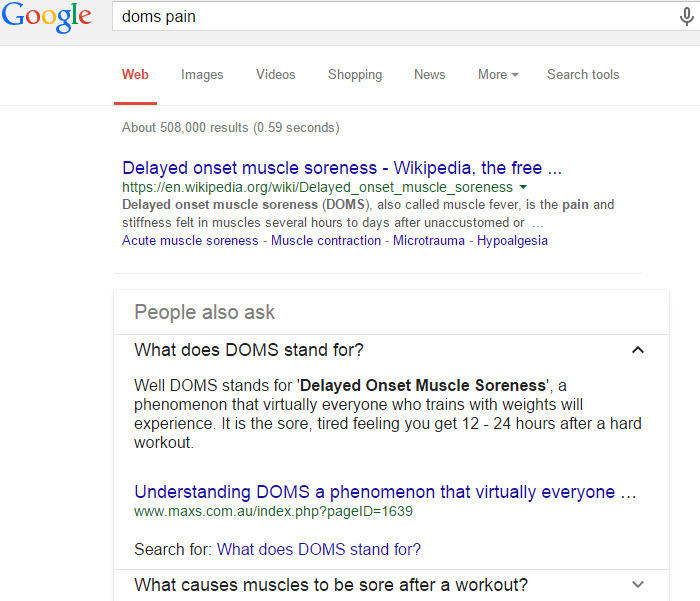 Based on my ‘doms pain’ search other people are also searching ‘What does DOMS stand for?’, and various other questions. When I click on one of these suggestions I am provided with the answer directly in the search results, and I don’t even need to leave the SERP’s! Now if you’re worried that this will decrease your website traffic, don’t be! Search Engine Land has got you covered with their Featured Snippets Experiment, which discusses this in more detail. Now this feature also appears differently with searches such as ‘how to boil an egg’, which evidently I need to Google because I don’t actually know how to do it! So How Do you Get Featured Snippets in Google Search Results? Identifying the types of questions or problems your target audience experiences is essential to define. Now if you’re stuck on a way of identifying what questions or problems your users experience, there is a quick way to get some ideas. This process involves using Google’s autocomplete feature (again!). Using the asterisk will assist you in identifying unknown questions or queries. This can be adopted for virtually anything. This also works on location based searches such as ‘how much does * cost in Africa’. Search Engine Land recently discussed this process in more detail in their Most Googled Products post. Providing a direct answer is great, but adding additional information on the topic is a winning combination. In the Tyre example above, you could provide further information about how long you can drive using the spare tyre. 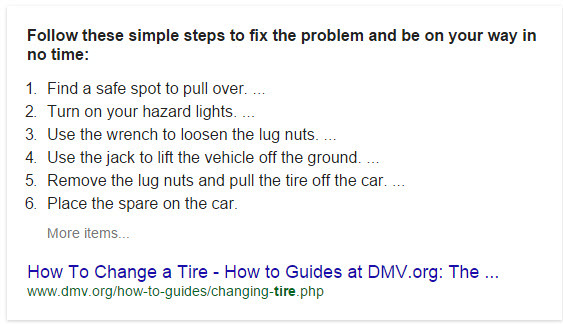 You could also give insight on how to avoid getting holes in your tyre etc. Once you have answered the questions on your site, and you’re happy with the page ensure that it is easy to find for Google and all users. Accessibility is key! Share it across your social networks, whilst adding the page to your sitemap and submitting it to Google Search Console (Webmaster Tools) using the ‘fetch as Google’ feature. This will increase its likelihood of discoverability and indexation. Look at other websites that have successfully received featured snippets in the Google search results, and identify what they are doing on their answer pages that you could replicate. 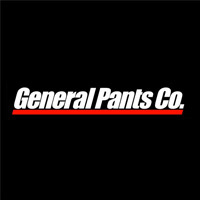 Is there something that seems to work for them? Use it to inspire your strategy! Once you have completed all of the above steps, it’s time to wait and test. Google the questions you have answered, and see if Google has included the answer directly in search results sourced from your website! Are you going to try to get featured snippets in the Google search results? AMIRE has been providing Telstra Media with SEO Services since the beginning of October 2013 and whilst still relatively new they have provided exceptional service and insight for the business thus far. Telstra Media replaced our previous SEO agency (whom we had worked with for over 6 years) with AMIRE, which I believe is a clear indication of their SEO expertise and experience. 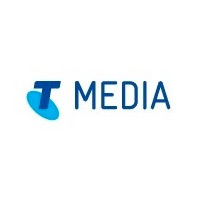 Telstra Media is looking forward to a strong relationship with AMIRE and have no hesitation in recommending them to any company considering their services. I have known Sean and Amye from the days when ‘search’ was in its infancy in Australia. At the time my team and I were intent on establishing the online business for AAMI. 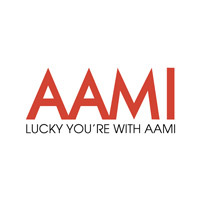 We recognised early on how important search would be to help position AAMI on customer shopping lists for their insurance needs and as a cost effective marketing tool. Seam and Amye continue to impress me with the depth and breadth of knowledge they have with the search industry. Their technical knowledge is extensive and that helps remove the guesswork and makes decisions easier and more precise. They listened and understood the AAMI business and what the key business drivers were. This helped us design and develop websites that balanced optimal search requirements with user experience and customer centric design. It was principally through Sean and Amye’s knowledge and results driven attitude that positioned AAMI in a prominent position for all of AAMI’s key terms, a position it has held for many years. 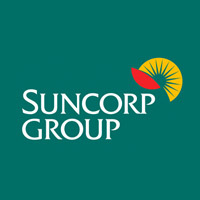 Amye consulted on Suncorp Commercial Insurance for a number of years in optimising our business for search. 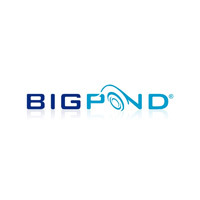 In that period, Suncorp’s dominance in search helped the business receive an unprecedented number of lead opportunities, driving further investment and support of the online channel. Amye’s professionalism and attention to detail served us well. Amye was always free and willing to assist with any queries we had about the complexities of SEO as well as providing us with up-to-the-minute news on trends and changes in search. We were always well prepared to stay ahead of the game. As our consulting SEO Director, Amye showed an unwavering dedication to delivering the best search results within a sometimes challenging technical infrastructure. Her depth of knowledge and awareness of industry advances were exemplary, and always considered within the context of our search brief. Amye’s friendly and relaxed professional approach ensures team members of every level have a good understanding of search objectives; this ultimately creates both a commercially successful and enjoyable partnership. 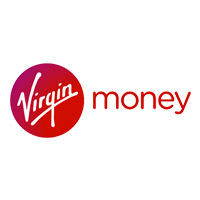 During my spell at Virgin Money Australia, Sean was the SEO expert from 24/7 Real Media, and proved to be deeply knowledgeable and of great service. I would recommend Sean as an SEO specialist for being extremely approachable, cheerful, professional and provided invaluable advice on improving the company site in natural search, combined with other paid search activity. The principals of Amire, Sean and Amye are well known within the search optimisation industry. I have worked directly with them for several years and they have always followed ethical practices in delivering great results. The quality of their work and trust worthiness is first rate. I always felt like my business was important and the best people were working on my account.